"Tastes Delicious and Filling + Checkout the ART!" This place is amazing. 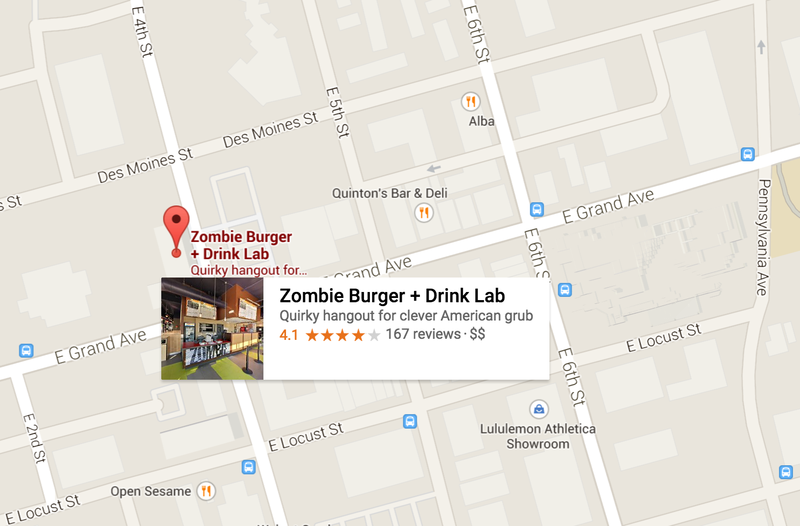 Highly recommend visiting Zombie Burger if you come to Des Moines. The food is amazing and the atmosphere is one-of-a-kind. Walk around the restaurant and check out the zombie themed art which extends throughout the restaurant, even to the restroom signs. The menu is a zombie themed newspaper with zombie themed menu items. My favorite burger is the Undead Elvis. It sounds weird, but the Undead Elvis is great, it's a small burger with an egg, fried bananas, and peanut butter. 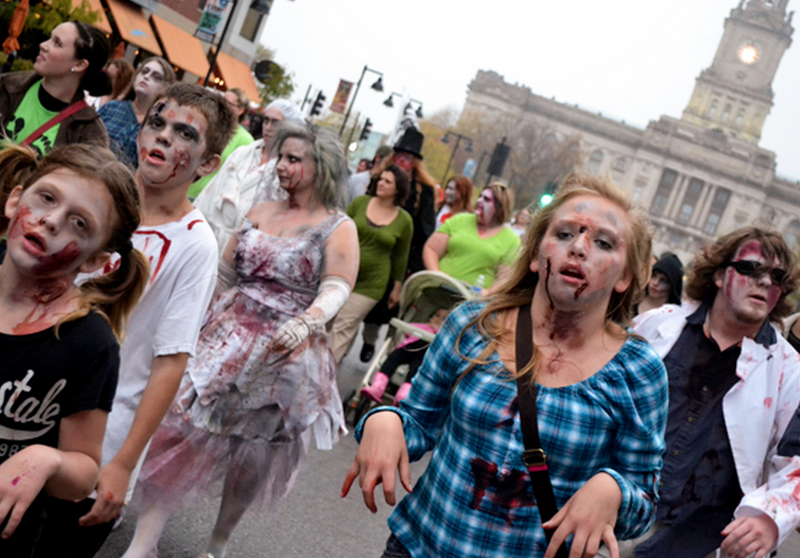 Yes, Zombie Burger sometimes has a short wait but it's well worth it. Sit down in the back and have alcoholic smoothies or stay up front and stand in line, the choice is yours. I doubt any of the food here is very healthy, but it all tastes delicious and filling. 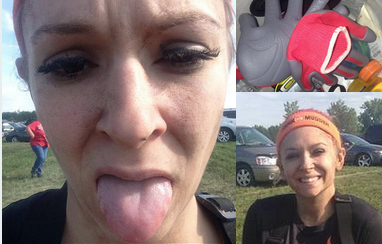 You can eat a ton of food and not break the bank. Probably the worst (health-food-wise) item on the menu is the burger with no hamburger bun, at least not in the traditional sense. I can't remember the exact name of this burger, but instead of bread the burger has fried macaroni for buns. It is incredibly messy and I was only capable of a few bites before feeling extremely full and greasy. They have tons of different flavored fry baskets and I love the shakes. 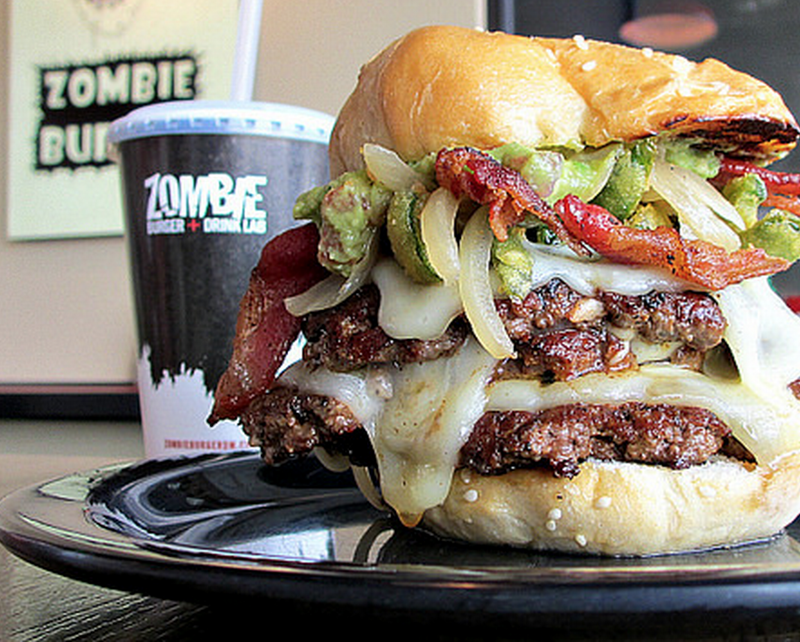 I do not go out to eat often, but if I do I love Zombie Burger. 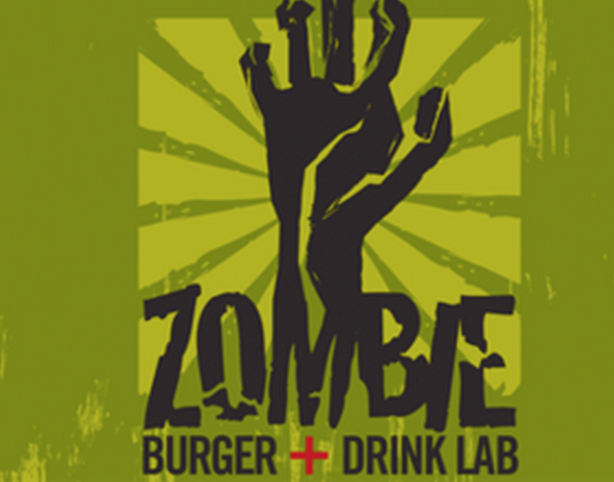 Zombie Burger is located downtown in the East Village. Weekends you can park almost anywhere without having to pay. It has a pretty nice view of the capital and outdoor seating. The sidewalks in front of the building lead to popular bars, the bike trails, and the waterfront. Jon Sofen Granted, I haven't been there in a few years but my Zombie Burger review wouldn't be as positive! Jon Sofen Eh, you know how sometimes people tell you that you have to go see some movie because it's the most epic movie ever, and then you go see it and think it's just "decent", but probably would have loved it if you didn't go to the theater expecting greatness? Yeah, that's kinda how I was with Zombie Burger. Sure, they have some goofy/creative burgers and all, but people in DSM act like that's the only place in the world that does. Their burgers are ok. Meat was ok. The whole putting egg and peanut butter, etc. is kinda fun and probably tasty (I didn't try that one), but I just didn't think it was anything special. It was just another burger joint with a cheesy theme and some goofy burgers. But that's just my opinion. Desarae Veit I like the location, the cheesy atmosphere, the price, and yeah some of the burgers are just slightly above average but it's better than a lot of places. Like Hy-vee burgers, it's better than that. 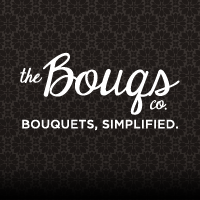 The service is decent and I've always enjoyed myself. I'd say it's loud, packed, and the line is long. Those are the downsides in my eyes. I've never hated the food though or thought it was mediocre.